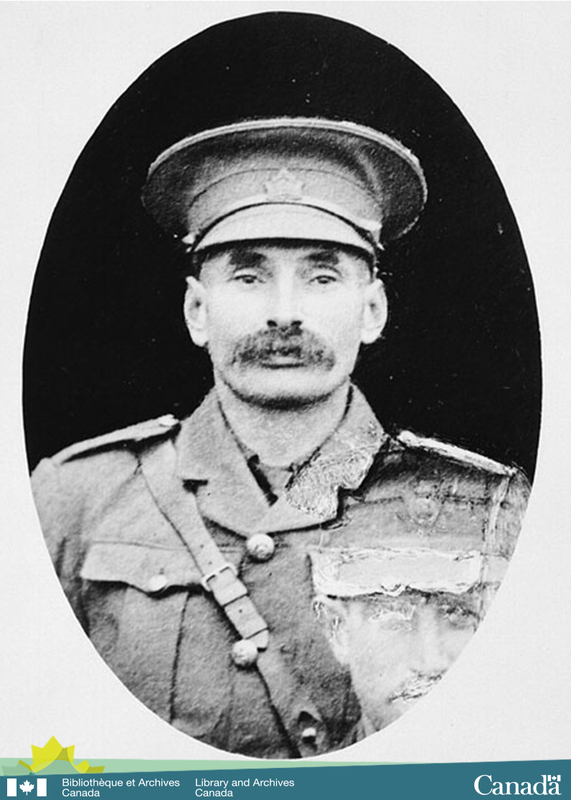 Frederick William Campbell, a lieutenant in the 1st (Western Ontario) Battalion, Canadian Expeditionary Force (CEF), was awarded the Victoria Cross for his actions on June 15 1915, 100 years ago today. This also happened to be Campbell’s 48th birthday. Stationed at the front line near Givenchy, France, Lieutenant Campbell led an assault on a heavily fortified German trench line. Under heavy fire, he held his place in the assault as nearly all of his men became casualties. Intent on covering the withdrawal of those men still able to escape, Campbell and another soldier moved up with two Colt machine guns to an exposed position and successfully held back a German counter-attack. “… arrived at the German first line with one gun, and maintained his position there, under very heavy rifle, machine-gun, and bomb fire, notwithstanding the fact that almost the whole of his detachment had then been killed or wounded. When our supply of bombs had become exhausted, this Officer advanced his gun still further to an exposed position, and, by firing about 1,000 rounds, succeeded in holding back the enemy’s counter-attack” (London Gazette, no. 29272, August 23, 1915). As he retreated, Lieutenant Campbell’s right thigh bone was hit and shattered. He died in hospital from an infection of his wound four days later. Frederick William Campbell was born in Mount Forest, Ontario on June 15, 1869. He also served in both the Canadian Militia and the Machine Gun section of the 2nd Battalion, The Royal Canadian Regiment, during the South African War. He is buried at Boulogne Eastern Cemetery, Boulogne, France. 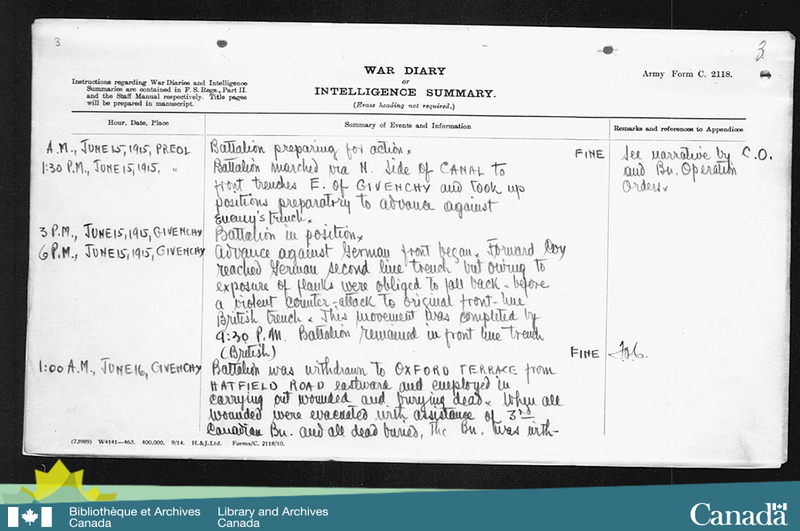 Library and Archives Canada holds the CEF service file for Lieutenant Frederick William Campbell. This entry was posted in Military Heritage and tagged Canadian Expeditionary Force, First World War, Military Service File, VC, VC series, Victoria Cross by Library and Archives Canada Blog. Bookmark the permalink.